The lucky jerks in London have already been able to enjoy Harry Potter And The Cursed Child—J.K. Rowling’s stage-based sequel to her original book/movie series—for some time, but the show is about to take a huge step toward its eventual debut in the United States. 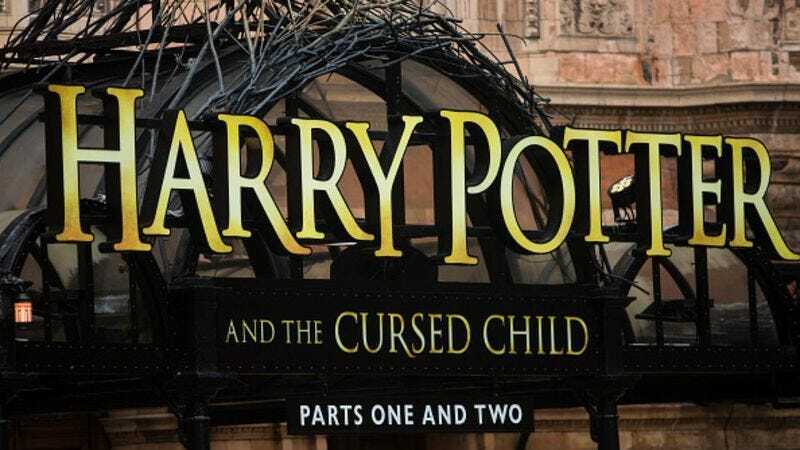 According to a press release, the show is currently in “advanced discussions” with Ambassador Theatre Group for Harry Potter And The Cursed Child to open at Broadway’s Lyric Theatre in 2018. The timing of that news is fairly interesting, as Cirque Du Soleil’s Paramour, which is currently performed at the Lyric, just announced that it’s leaving this spring so the theater can undergo massive renovations. The press release specifically mentions how well these renovations will suit Cursed Child’s set and staging, so it sounds like Cirque Du Soleil might be getting forced out so Ambassador Theatre Group can get all of its ducks in a row in anticipation of what will surely be a massive Broadway hit. At this point, no other details about the American production of Cursed Child have been announced.